Oklahoma Connection | Stuart came to Indian Territory as a judge. As a young lawyer Charles Stuart received a telegram that his brother was seriously ill. However, the telegram did not arrival until after his brother died. Judge Stuart notified the Western Union Telegraph Company that if it would discharge the employee responsible for the delay, no claim for damages would be made. The company declined to discharge the employee and Stuart won a landmark judgment against the company. This case brought Judge Stuart his first legal prominence. Known as “The Grand Old Man” of Oklahoma lawyers, Charles B. Stuart came to Oklahoma after serving as an instructor in a private school and then, upon admittance to the state bar in 1876, as a prominent lawyer in several firms across the state of Texas. A native of Virginia, Stuart was a highly educated, popular orator and statesman when U.S. President Grover Cleveland appointed him as the first Judge for the United States Court for the Central District of the Indian Territory and the first Chief Justice of the Court of Appeals of the old Indian Territory. Upon his retirement from the Federal bench, Judge Stuart became general attorney for the Choctaw, Oklahoma and Gulf Railroad Company, as well as a number of large coal companies, and established his law firm at McAlester. 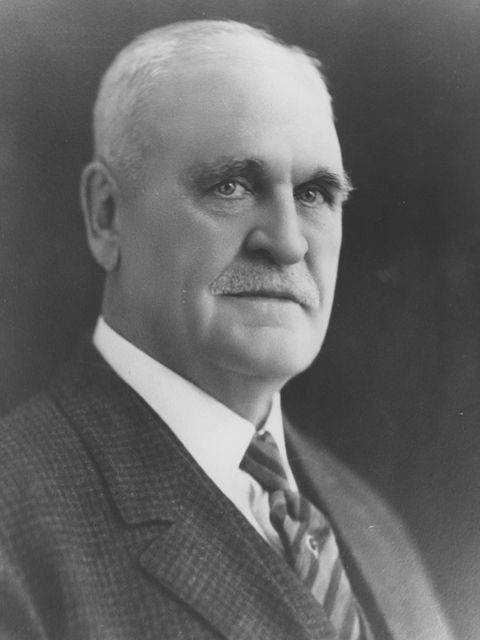 In 1911, Judge Stuart moved to Oklahoma City and established a new law firm and worked there until 1927. He then created a new firm in Tulsa with offices in Oklahoma City. Judge Stuart was the second president of the Indian Territory Bar Association and first president of the Oklahoma State Bar Association.